I can't believe how quickly this month is flying by. I hope you are all enjoying spring so far. Brody had his first soccer game this past weekend and it was a lot of fun to see him doing something that he loves so much. Little sister Skylar was such a great cheerleader and was always looking for him out on the field, except for when she was busy eating her snacks. 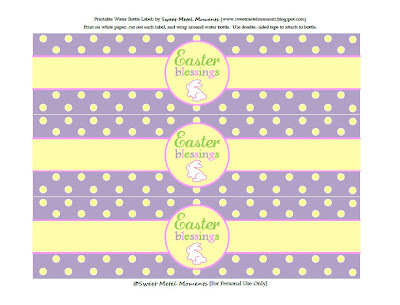 Since Easter is quickly approaching us, I wanted to share with you a free printable. It is a label that you can use to dress up a regular water bottle. 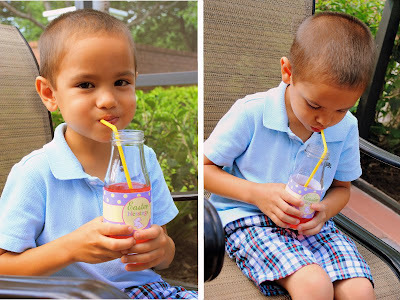 This would be great for class parties, a play date, church function, Easter brunch, or whatever your heart desires. 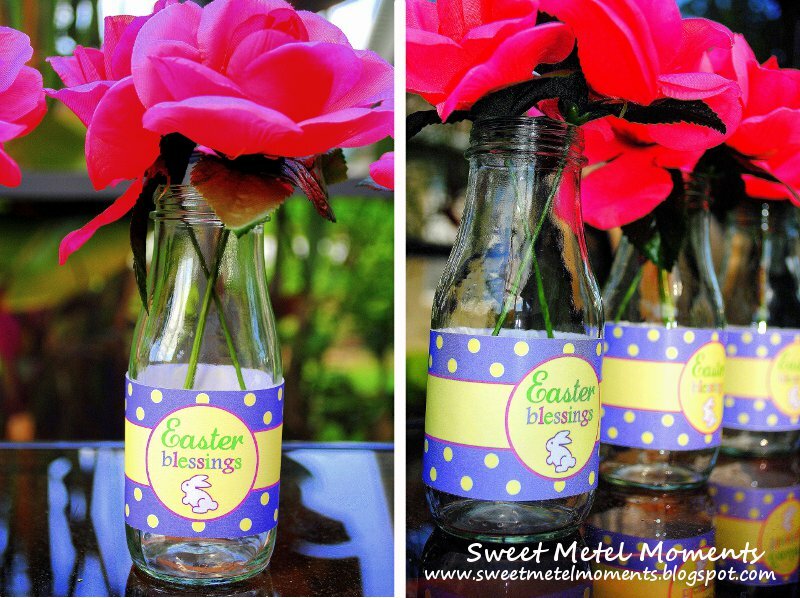 Won't these look cute at an Easter brunch as simple centerpieces? If you like what you see FOLLOW ME via Google Friend Connect. Enjoy! My little Brody is enjoying the pink lemonade from our project. ill share this in FB! What great ideas!! Thanks for sharing!